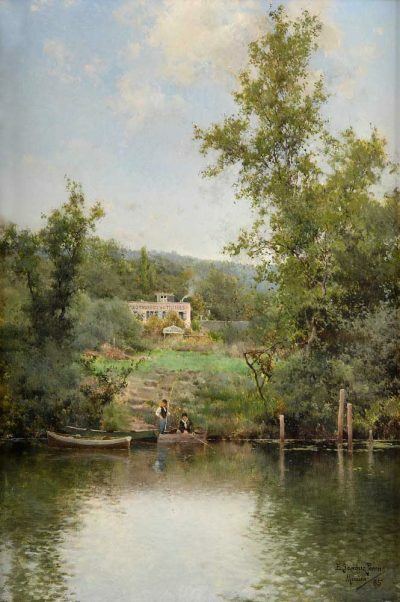 Emilio Sáncher Perrier was a Spanish painter born in Seville who specialized in landscapes. In addition to oil he worked on watercolor all his life. At the age of thirteen he entered the School of Bells Arts in Seville. He travelled through Paris, Venice, all of Great Britain, and Tangier. 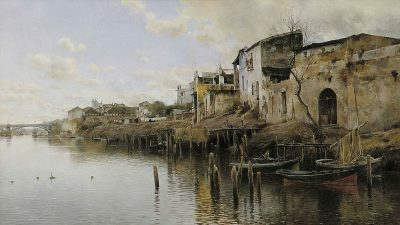 In 1880 he returned to Spain and became a member of the Academy of Fine Arts of Seville. Part of his work can be found in different museums in Andalusia, but most of it belongs to private collections. He died in 1907 in Alhama de Granada.